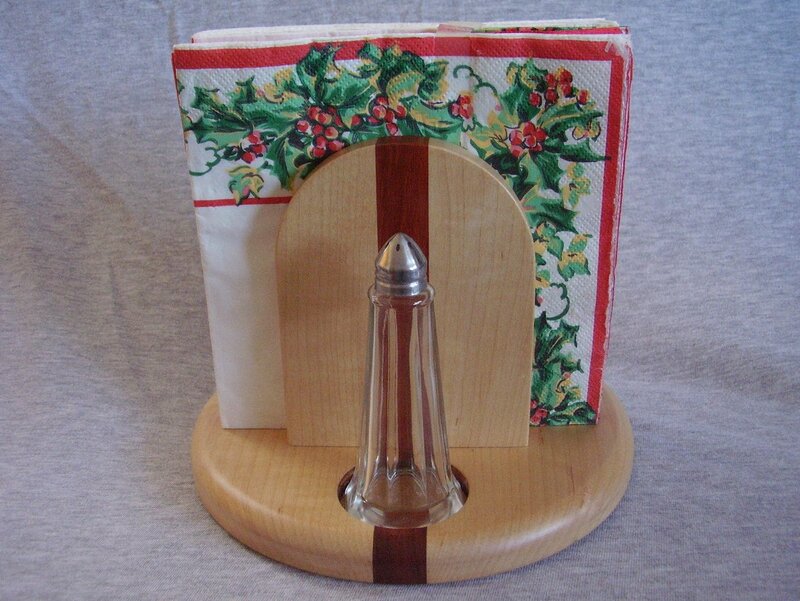 A beautifully handcrafted Napkin Salt Pepper caddy. Caddy is stationary and does not swivel. This piece has been finished with satin polyurethane. We also include a brand new set of shakers as seen in the photos. Sorry napkins are not included. 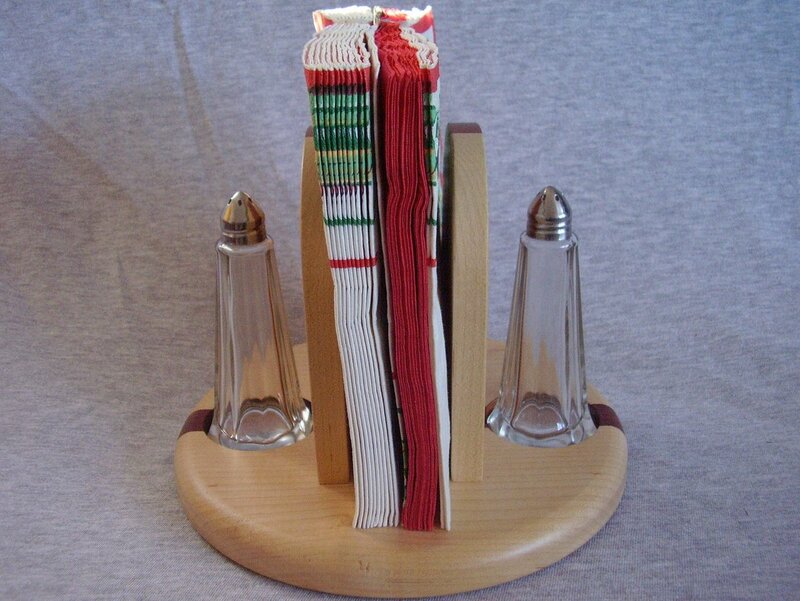 A beautifully handcrafted Napkin Salt Pepper caddy. 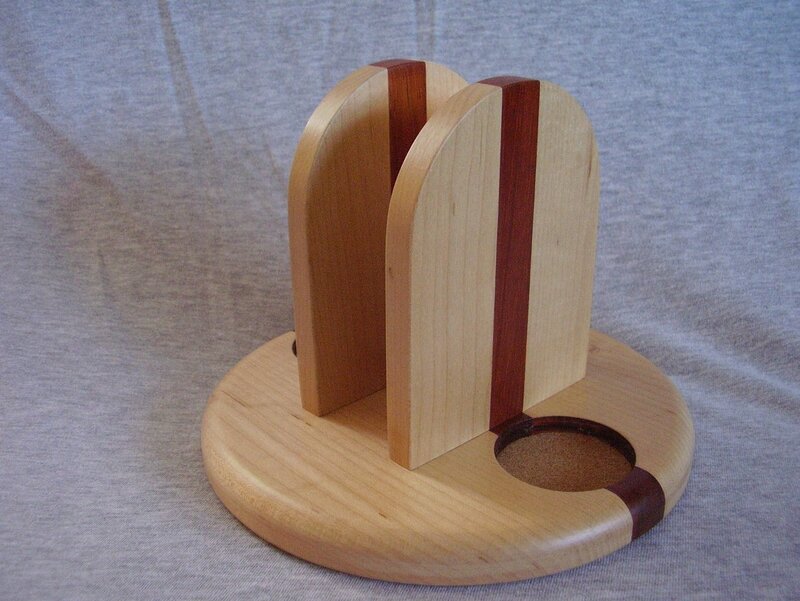 These were made by my husband, Russ, a master woodworker of 30 years. This set is made from Maple and Paduak woods. 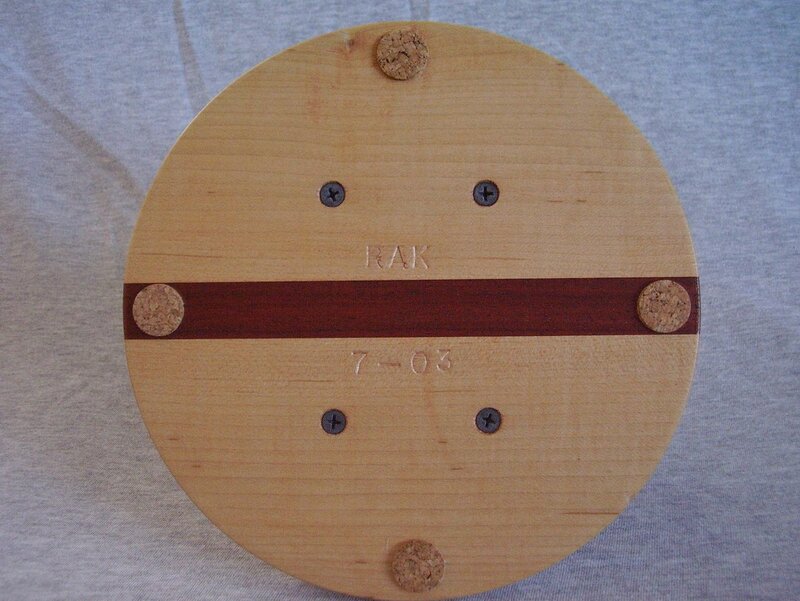 The diameter of the round shaped base is 7 3/4 inches. It is 5 3/4 inches tall. Accepts shakers up 2 inches in diameter. Center space for napkins is about 1 1/2 inches wide. Cork feet have been applied to the bottom. Caddy is stationary and does not swivel. This piece has been finished with satin polyurethane. We also include a brand new set of shakers as seen in the photos. Sorry napkins are not included.